Boom, then bust and now back on the up, it’s easy to fall head over heels for this colourful and charismatic port city, and not just because its streets are so steep. Astronauts may not be able to see the Great Wall of China from space, but they’ll have no trouble spotting Valparaiso. With 42 precipitous hillsides covered in colourful and weather-beaten houses, it may resemble heaps of Lego from afar, but look past this garish exterior and you’ll find a gritty city that has worked hard to reinvent itself. 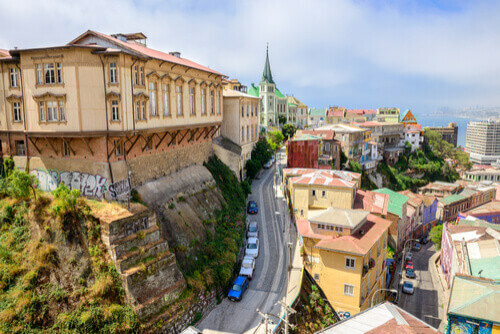 First settled by the Spanish in 1536 and named after a landlocked town southeast of Madrid, Valparaiso remained a sleepy fishing village until the early 1800s, when a local merchant struck upon the brilliant idea of reclaiming land from the sea and building a port. Independence in 1818 saw ‘Valpo’ take advantage of the international trade previously monopolized by Spain and become the home port of Chile’s nascent navy. The city boomed, migrants from across Europe flocked in, the country’s first banks flourished and Latin America’s first stock exchange was founded. 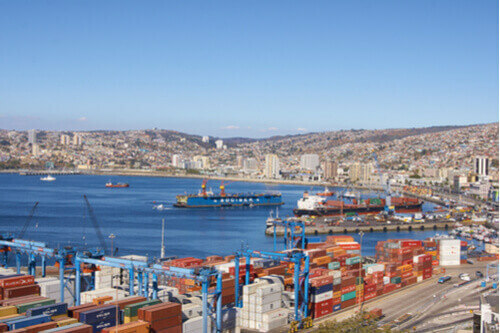 The California Gold Rush saw Valparaiso – by then nicknamed 'Little San Francisco' and 'The Jewel of the Pacific' – hit its zenith as the heart of Chile’s financial sector as well as an essential stop for Atlantic-Pacific shipping passing through the Strait of Magellan. However, the city’s fortunes changed in 1906, when a huge earthquake and resulting tsunami destroyed much of the port and killed thousands. The opening of the Panama Canal in 1914 cut off the flow of passing trade; this was compounded 15 years later, when the Great Depression prompted the exit of British, who used the port as a trading post and its Pacific naval base. Despite being 120km northwest of the capital, Santiago, the city has remained home to Chile’s legislature along with several key ministries; it also boasts a number of top universities and is now the centre of a vibrant art scene (make sure to visit the prison turned art district, Parque Cultural de Valparaíso). In fact, spray-can Picassos have ensured the city streets are more heavily tattooed than any of the sailors who call into port; the Cerro Alegre and Cerro Concepción neighbourhoods are some of the best covered – these two 'colonies' were where English and Germans settlers built their houses, as the Anglican and Lutheran churches still bear testament to. There is more European architecture around Plaza Sotomayor, watched over by the imposing blue naval command. 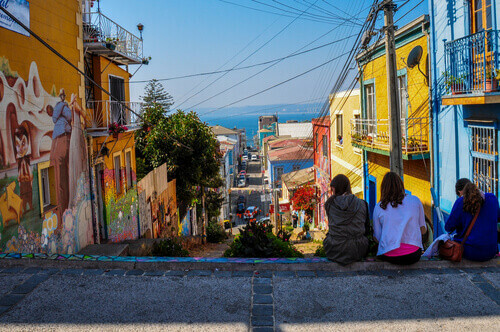 The city’s all too literal cultural highpoint is La Sebastiana Museum, the home of the city’s most famous son – poet, politician and diplomat, Pablo Neruda – which sits atop a hillside commanding spectacular views of the city; Valparaiso’s most infamous scion is the dictator, General Pinochet. In 2003, the city was listed as a UNESCO World Heritage Site, government investment flowed, tourism boomed and – thanks to modern cargo ships becoming too big to fit through the Panama Canal – shipping has picked up again. 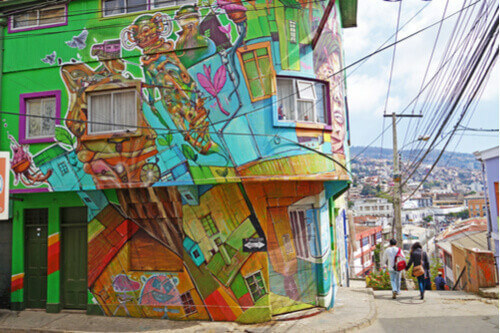 The city also put itself on the map with its annual Valparaiso Cerro Abajo, the world’s most insane urban downhill bike race, where riders plunge down staircases, negotiate a labyrinth of alleys and even pass through houses. A safer way to get up and down hill is on one of the seven working funiculars, some of which are over a hundred years old and were originally steam-powered. The city also sports the public transport equivalent of Havana’s classic ’50s cabs, antique trolleybuses which still ply the same routes they have done for over half a century. Another Valpo must is a trip around the harbour, a great way to see the city as it sweeps up and around the bay like the banked curve of a sports stadium, as well as get a bit too close for comfort to the resident colony of sea lions.